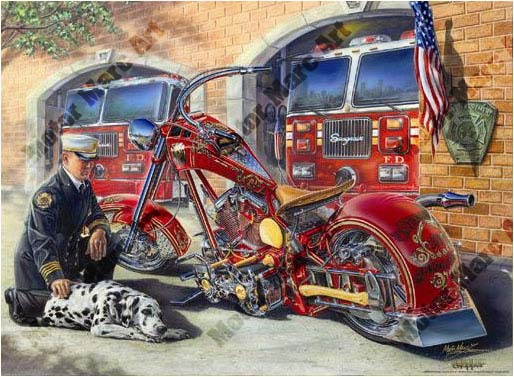 These are limited edition fine art canvas reproductions featuring some of the amazing bikes seen on the popular television series American Chopper™. 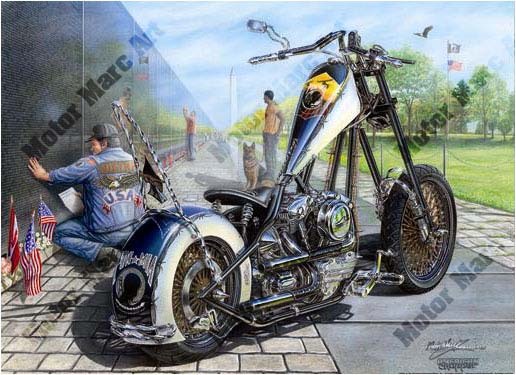 Each features a tribute to the American Chopper Bike as painted by renowned artist Motor Marc Lacourciere. 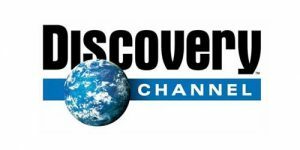 Licensed by Discovery Communications, Inc.
Reproduced on archival grade canvas to the highest standards of quality. 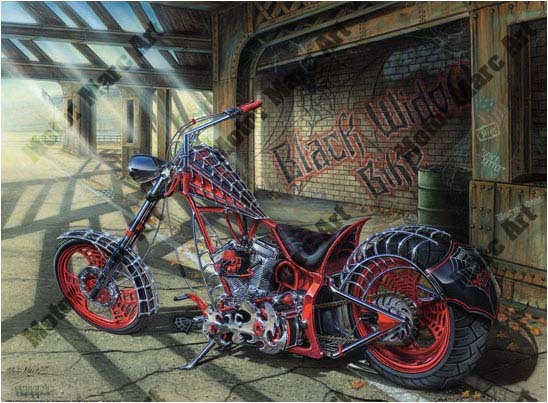 Every canvas print is hand signed and numbered by the artist. 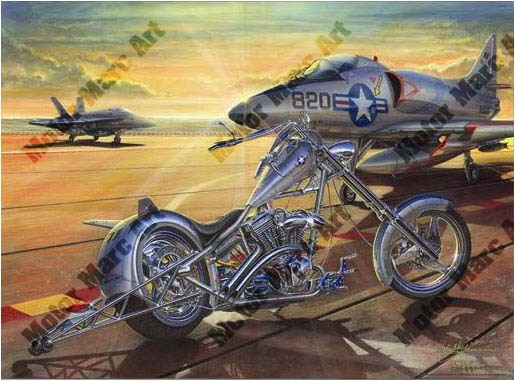 Embellished with silver foil American Chopper logo. Editions are closed. Some prints and originals are available. 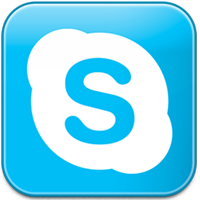 Please call (519) 735-7779 for availability. 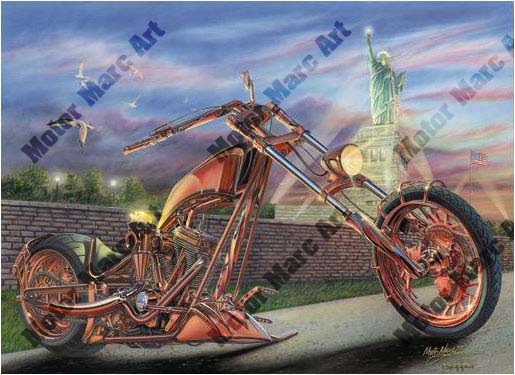 These American Chopper paintings have become highly collectable and some of the original paintings are available.